MAGANTI'S BLOG: Chrome OS: A Glorified Chrome Web browser! 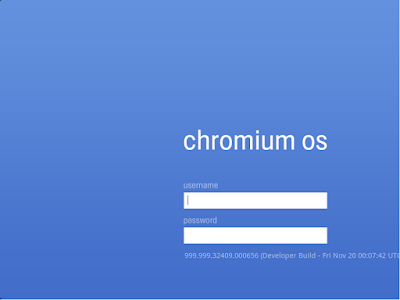 The Developer Build of Chrome OS (0.4.22.8) is out. I downloaded it from the gdgt website and installed within my Ubuntu Operating System. The downside is you need to register to download the OS. Another downside is one can only use it as a virtual OS, using a virtualization software like VirtualBox or VMware. The first one is free while the second one isn't. Coming to the installation itself, TechCrunch website one of the first to write about the operating system installation, gives a detailed walkthrough on how to install Chrome OS using VirtualBox. Having used VirtualBox extensively to run Windows Operating Systems on Linux (Ubuntu) in the past, I felt the installation process was a bit easier. Initially, I downloaded the VirtualBox version (zipped vdi file) and wasn't successful in running it. Taking a cue from other users experience (on the internet), I downloaded the VMware version (zipped vmdk file) and mounted it in VirtualBox. I also didn't get the network to work on my desktop PC, which prevented me from logging on. So I logged in using the following - Login: chronos and Password : blank (not a word). 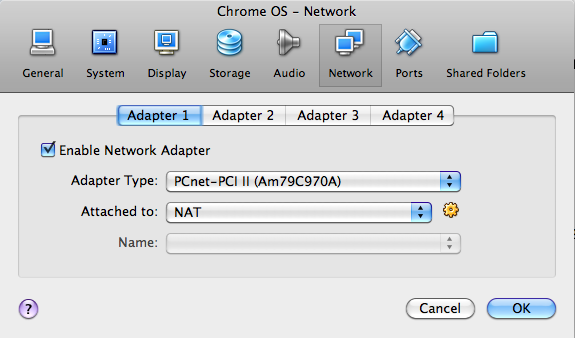 To get internet connection, I did as per the following screenshot in the VirtualBox Settings for Chrome OS. First impressions are, it looks like a Glorified Chrome Web Browser. The UI (User Interface) we are so used to seeing is virtually not existent. The screenshot below will tell you exactly what I mean. This is the only screen you get. You may use the other tabs for browsing. Looking ahead into the future, going by Google's track record, it might take a year or even more before the Public Beta version is released. Remember! it took Google Mail approximately three years to transition from Public Beta to an End User Version and it is more than a year since the Windows version of Chrome Web Browser is released and there is no sign of Mac or Linux version yet (though developer versions for Mac and Linux exist in the background). 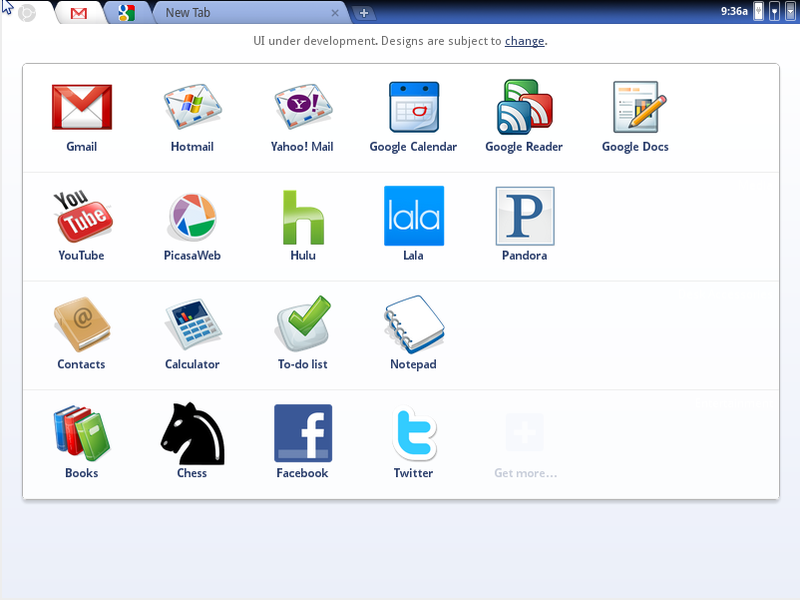 Final thoughts are, Chrome OS will remain as it is now, by which I mean the UI (user interface) will be minimalist. It will be totally web-based and Google might rely on the advances in Cloud Computing to propel the OS to the forefront (OS of choice). It is likely that traditional software based computers we see and use today might eventually become redundant.